Rome is a city of queues. You queue to get ice cream, buy tickets and to go thru security check. 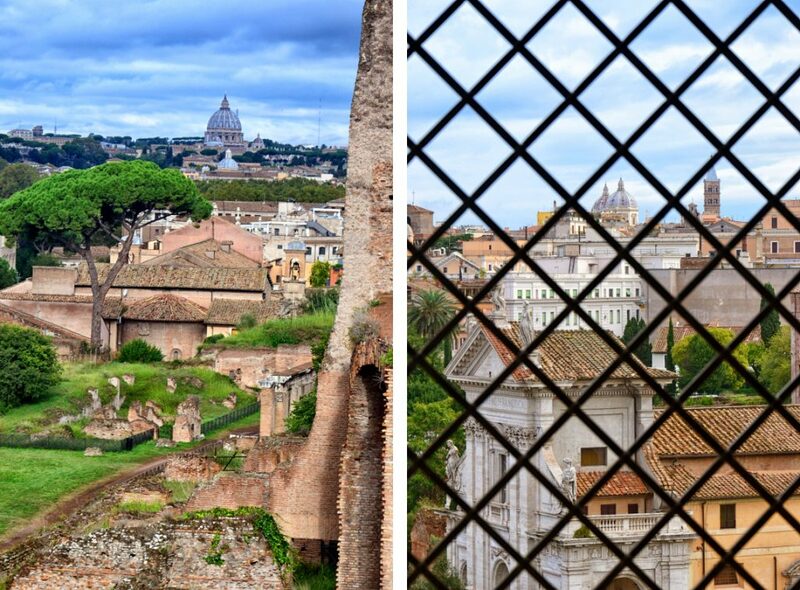 It’s no different when it comes to Palatine Hill and Roman Forum. If you want see this spectacular sight you have to serve your time in a line. 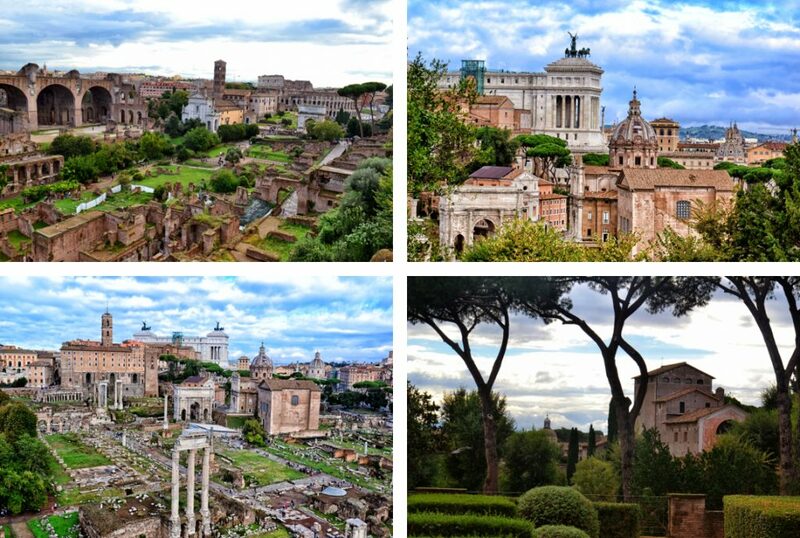 Magnitude of the whole ancient complex of temples and buildings on Palatine Hill and Roman Forum goes beyond ones Imagination. To be honest we didn’t expect such immensity of ruins and have never seen any which could stand up to it. We were going to visit Palatine Hill and Roman Forum first thing in the morning to avoid crowds. Obviously it didn’t go exactly as we wanted and we arrived slightly after opening ,in Rome every minute counts. We didn’t queue long considering it was free entry day, only 20 minutes. 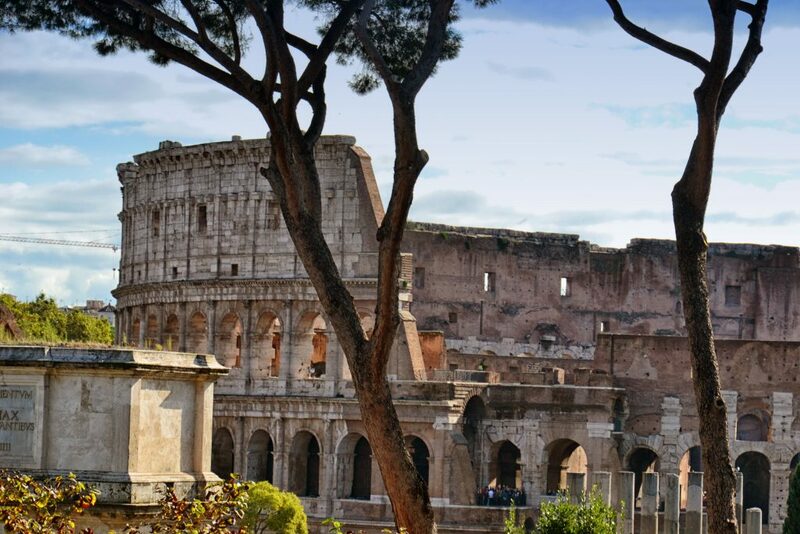 We chose entrance from Palatine side from via di San Gregorio Street where queues supposed to be smaller and have to say it worked as there was multitude of people by the Colosseum at the time. 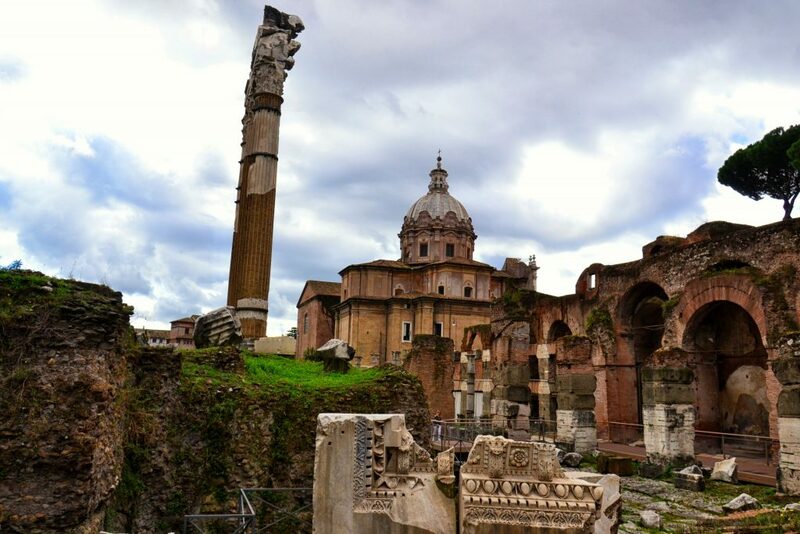 Palatine Hill and Roman Forum creates one complex which has to be visited on one ticket all in once. That’s why you should be ready for lots of walking, have some snacks and water. Without audio guide and maintaining moderate pace we did it in 2.5 hour together with Foro di Cezare which requires another ticket but was free as well on that day. If you want to visit with audio guide and inspect every stone you have to be ready for 3-4hours. 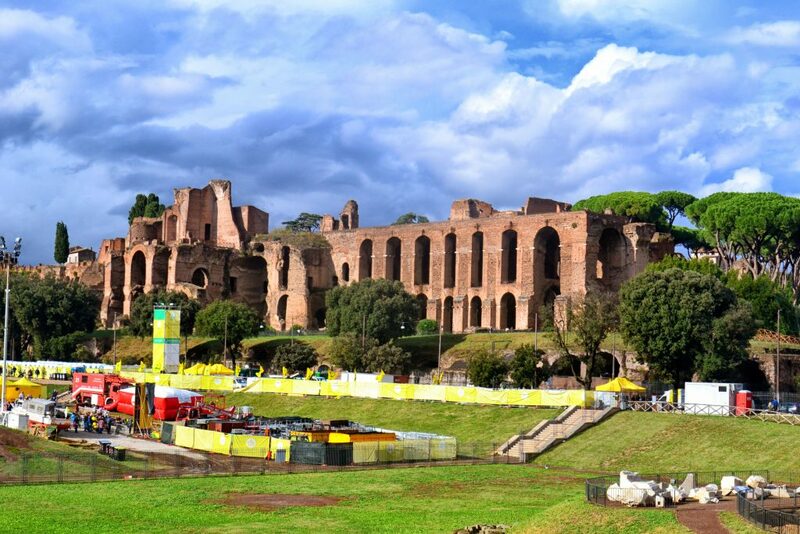 As mentioned we started from Palatine, legendary hill where Rome was started. According to a legend it’s a location of grotto where she-wolf nursed Remus and Romulus founders of Rome. 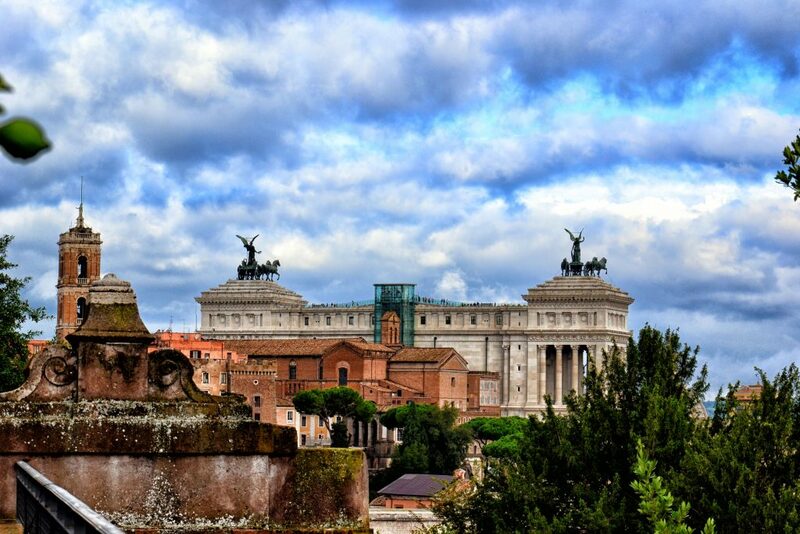 From 1st century BC Caesars palaces started to rise on the hill. The remaining red brick ruins today show the scale of architecture. How impressive it had to be during Roman period. In its best times everything was lined with marble decorated with colorful mosaics, carvings and sculptures. It is hard to imagine how amazing it was when only ruins make such an impression. 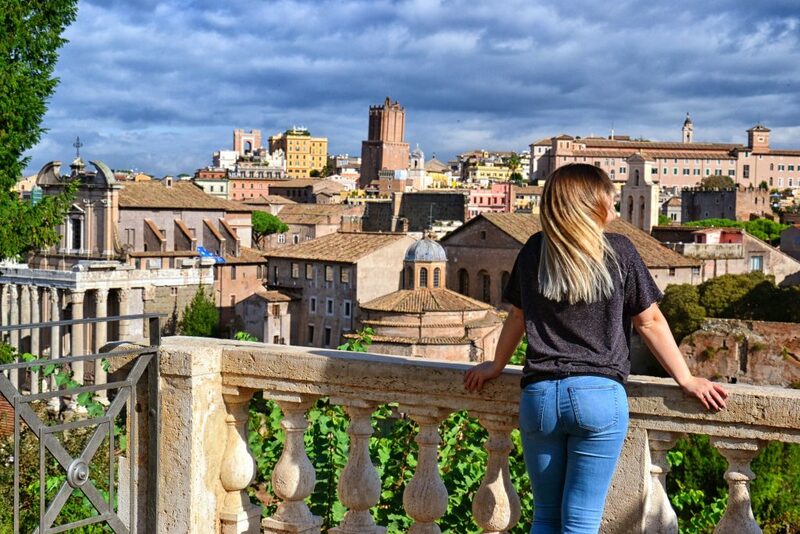 From Palatine Hill we went towards Roman Forum and started from a viewing point located on the terrace above where you could see it in all its glory. 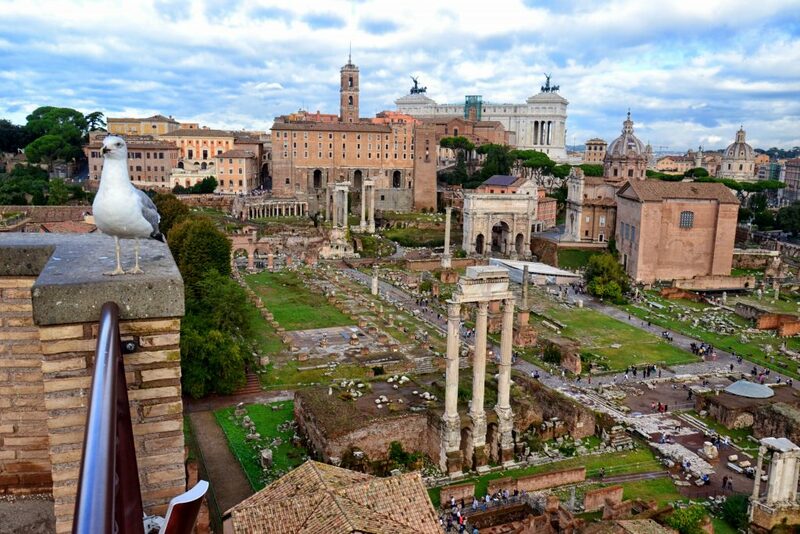 Roman Forum is like a huge crater filled with ancient ruins and scale of it cannot be shown on any photo. There is mixed opinions about beginning of the Forum but we know for sure it was wetland area. Canal Cloaca Maxima was built in 6th century and it is one of the oldest drainage systems in the world. Taking into consideration scale of it and engineering behind it we were truly impressed with skills of civil engineers of that time. 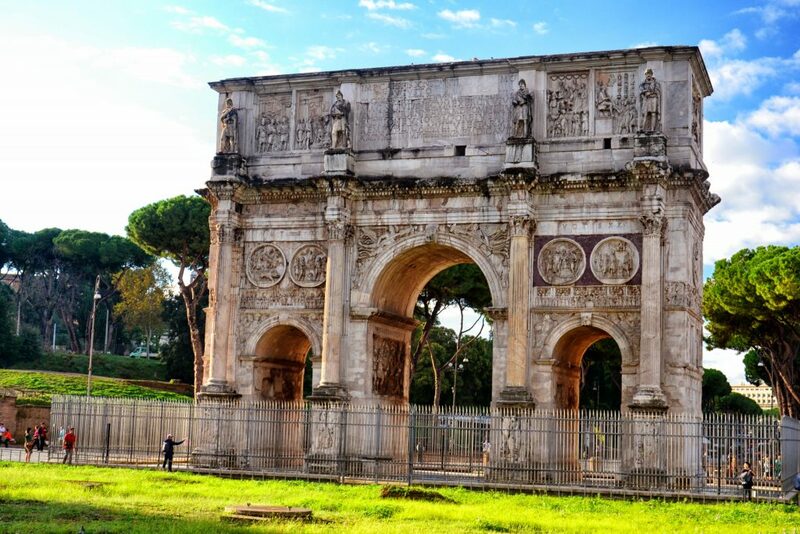 With time Forum was growing and more buildings, temples and Caesars forum was created. Also role of that place kept evolving. It is jaw-dropping how many of these building survived until modern times. 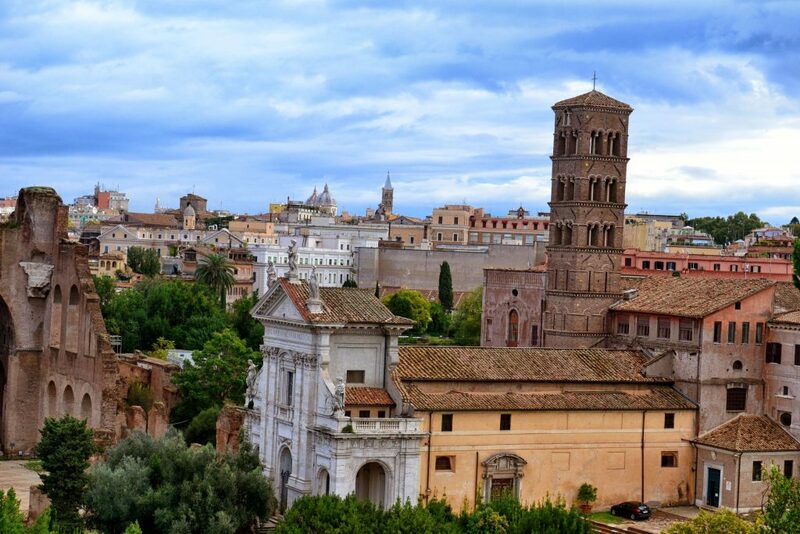 Rome was shattered by earthquakes many times, during dark ages Forum was use to acquire stones and building materials. 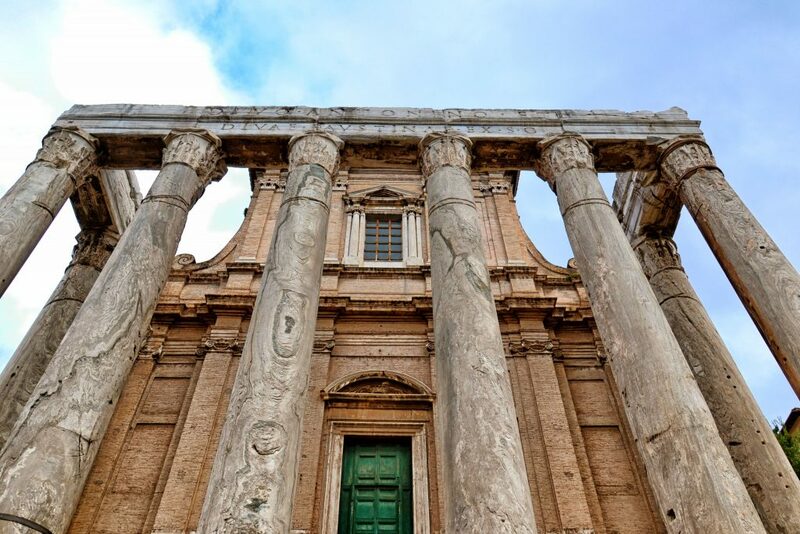 In the Middle Ages popes weren’t happy about this place, many monuments were transformed into Catholic Churches some were demolished or at least tried to, Temple of Antoninus and Faustina is a great example. You can see today groves in the pillars which are remaining of attempt to dismantle. Without success it was adapted as a whole to create San Lorenzo in Miranda church. 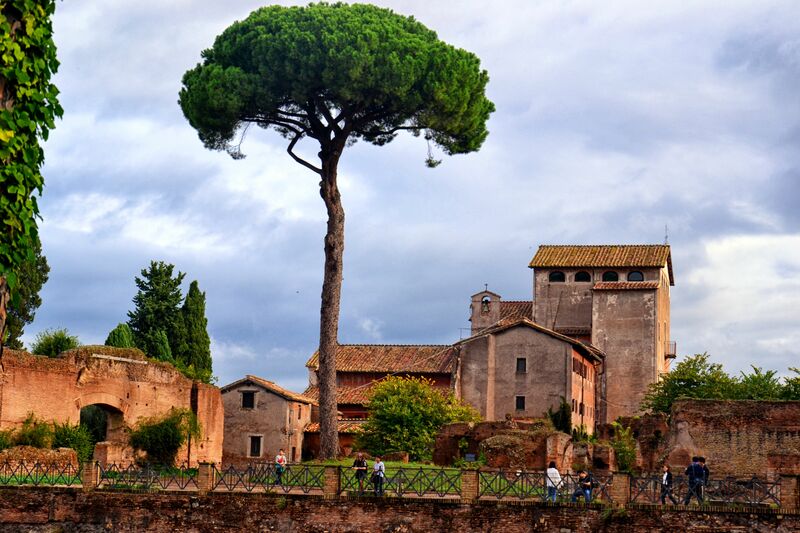 One might not be a fan of ruins and monuments but when in Rome everyone should make an exception to Palatine Hill and Roman Forum at least for a walk. It is a great testimony to our history and guarantee the biggest skeptic will be engaged so don’t even try to skip this when in Rome!